I had about two years left of high school as the son of an expat living in Europe. Moving to Budapest as a teenager was a huge cultural insight. Everything was different from what I was used to down under in Australia, from the people to the food and the snow falling in winter. But what captured my attention most was how crazy Europeans were about their soccer. Personally, I really loved playing and watching matches, but that was it. I was just an average player that grew up playing for the local teams in my neighbourhood and at school. Many kids dream of playing professionally in Europe, but the thought of doing that never really crossed my mind. I had no reason to believe I could. I never represented any national teams or my county for that matter back home. One day my life all changed. I picked up a self-help book called 'The Magic of Thinking Big'. The author talked about how to make your dreams a reality. I guess at that time, I always dismissed any thought of playing at a higher level than I was. But from reading that book, I learnt that theoretically you could achieve your dreams with belief, hard work and persistence. If there is one thing I love about soccer, it's the passion. There's nothing more exhilarating for me than hearing the chants and roars of supporters in a stadium packed with tens of thousands of people. In my free time, I would always be looking up YouTube video's of these electric atmosphere's. Liverpool fans singing "You Never Walk Alone" for example. I don't know why, but sometimes I would literally get tears in my eyes from just watching them and still do. I thought to myself "Nick, imagine if you were a professional footballer, walking out of the tunnel to a packed stadium. Imagine scoring a goal and celebrating with thousands of your home fans." - I'd never been more excited in my life about the possibilities. So in 2009 at age 16, I decided I would go for my dreams and set out to become a professional footballer, the same time I began documenting the experience on this very blog. But most importantly above all: Desire and Belief. The next six months I worked harder than I ever did with football and over time my game improved. After my experience in London, I came across a book called Outliers by Malcolm Gladwell. In this book he says that it takes roughly ten thousand hours of practice to achieve mastery in a field. So after reading that line, I literally doubled/tripled my training schedule so that I was training at least 20 hours a week. At least 12 of these hours each week we're spent grudgingly down at the local field with just my boots and a ball. In the snow, wind, rain, sunshine it didn't matter, and I would set out to complete these 20 hours every single week. If I didn't, I would punish myself with more hours! It took some really hard self discipline (and still does!). I remember one week I was on summer holiday's with family in France. I was lazy the week before, so I forced myself to do 40 hours of training that week (by myself may I add) with most of it done on an old concrete basketball court in the resort, hidden around the corner from the beach and beautiful girls. But the hard work finally started to show signs of paying off. I attended a few training camps over that summer and met a few players who were on athletic scholarships at US colleges. I thought "Hey, if they can do it, why shouldn't I give this a a shot?" So I took the SAT, made a highlight video and used a service to send the video to coaches in the US. A few weeks later, I received $100,000+ in scholarship offers. Unfortunately, none were really in a league or location I wanted to play in so I declined those offers and stayed in Europe. When you don't make the team, most people give up. I failed an amazing amount of times while I've been in this period of trying to "make it". But each time I was unsuccessful with a trial, I didn't get my head down, I just took it as an opportunity to get "feedback". Fast forward, and It was July 2011, the month of my 18th birthday. Out of the 100's of people I was trying to make as valuable connections in the past, I now had a few stable contacts that wanted to help out. My fourth trial, one of these contacts arranged training with the U19's of Vasas SC - a famous Hungarian club that plays in the 1st division. I played well, but I was unsuccessful. Then, another guy arranged a trial in Hungary with a team called Kazincbarcika SC. They wanted to look at me for the senior squad. I was scared shitless because there were some players there who had played for their respective senior national teams. There was a guy who would have trained alongside Samuel Eto'o (at one point, the world's highest paid player) for example. I trained nervously, but well enough so I could play in an friendly match they organised. I had one of the best games of my life. I played 90 minutes, scored a goal and created a good chances for other players. This was my moment. 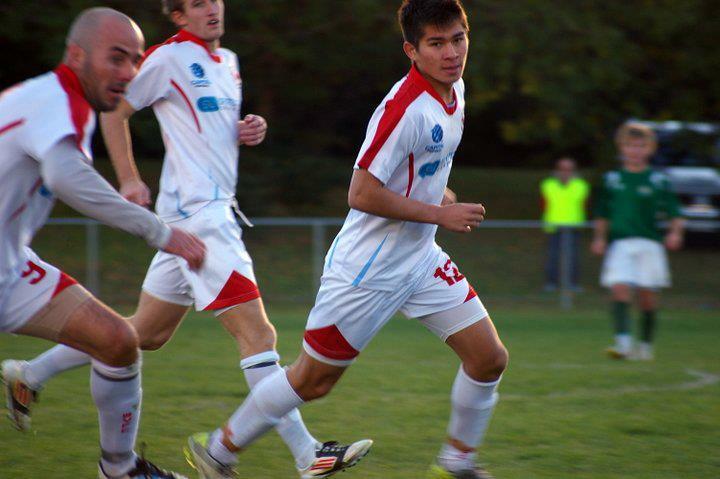 I was one of the best players on the pitch in a professional level match. After that game, the club offered me a senior team contract, but not under the conditions that would have put me in a safe position. Still, that was a shining moment for me. Just two years prior I was nothing. Now I was worth something in football. Long story short, 14 months later today I live in Amsterdam, Netherlands. 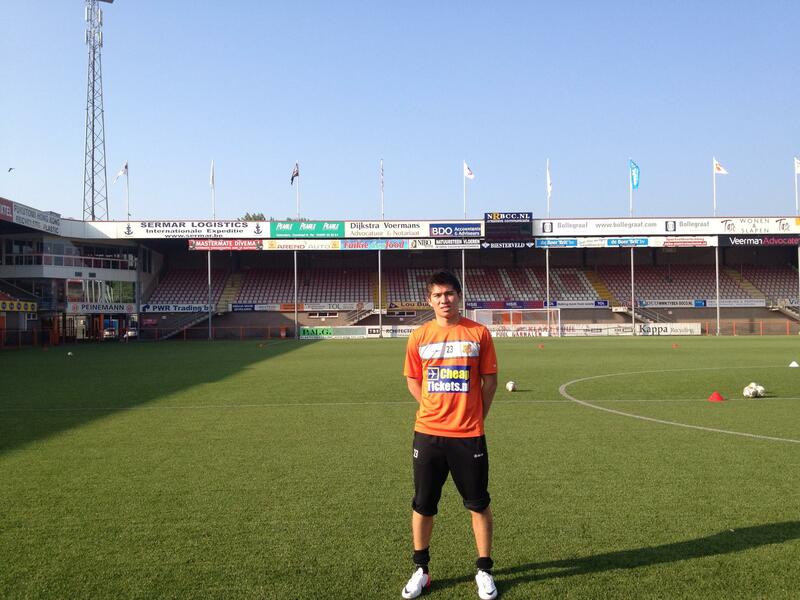 Most recently, I had a six week trial with FC Volendam, a Dutch outfit. I was training with their reserve team who play in a league with some of the best teams in the country and in the world for that matter (Ajax, AZ Alkmaar, etc). Again, I failed to make it in their squad. But my performance was very positive. I asked the coach what I should improve. I'm usually accustomed to hearing a list of things I should improve from coaches. But this time I hear one thing from the coach: Strength. Just waiting (and searching) for the next opportunity to arise.. I want my story to mean something to all of you reading this. I was not born with special abilities or talent. I was not given the best coaching. I was never the best athlete out there. I am not some sort of special human being from Mars. You can achieve ANYTHING you want in life through hard work, never ever, ever, ever giving up and matching all of that with belief. It's also about working smart too. Your hard work needs to be directed in the right places. Making connections is one example. Someone who can mentor you is priceless. I apply the same philosophy to my business startups as well, not just soccer. Seriously, from one friend to another, you can make your dreams become reality. Trust me! You can do it! And I know that sounds so cliche, but greatness is not some illusion that only a special few among us can achieve. Maybe I've made it easier than it sounds here in this post. It's all about staying focused and on track. But there have been many times where I've thought if it's even worth it to continue going. Many people saying I'm not good enough, even laughing at me sometimes. Times where I've cried. Overcoming pain, fear and anxiety. The last three years of this sporting journey have ultimately been a journey that has taught me so much about life. But that moment when I rip a ball in the back of the net and celebrate to the roar of tens of thousands of people will be the moment when I know that it was all worth it. So, what's your defining moment?